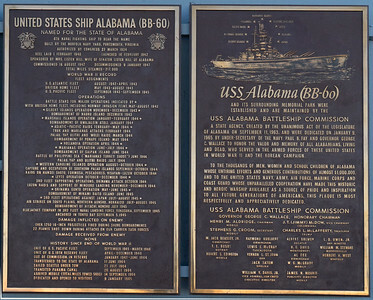 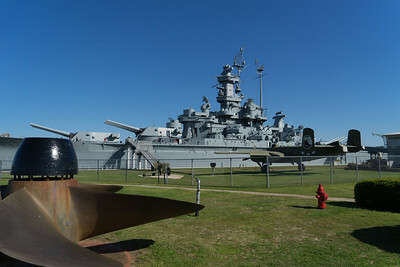 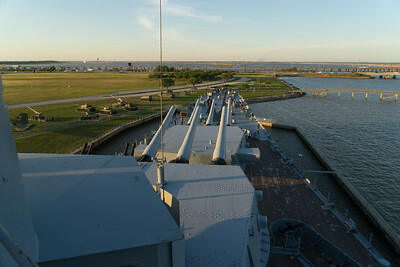 USS Alabama, BB60, at rest in Mobile Bay, AL. 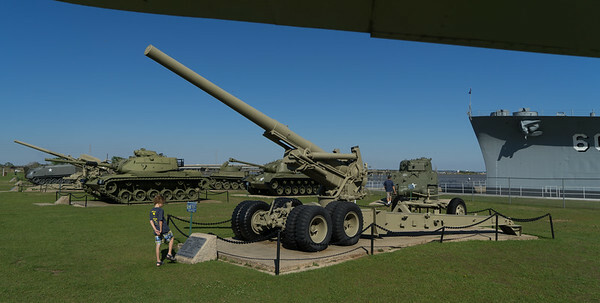 U.S. Army "Long Tom" 155mm towed howitzer, with M60 tank to its left rear. 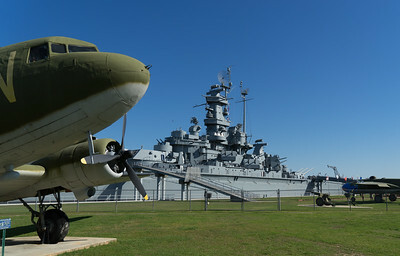 U.S. Army Air Corps C-47 frames the USS Alabama. 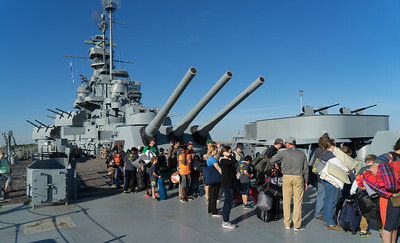 Scouts & dads line up on the fantail for overnight bunk assignments. 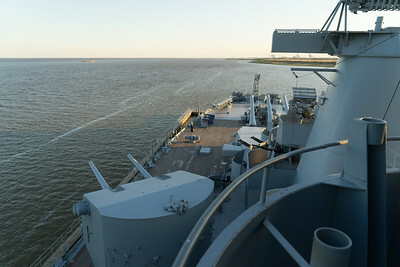 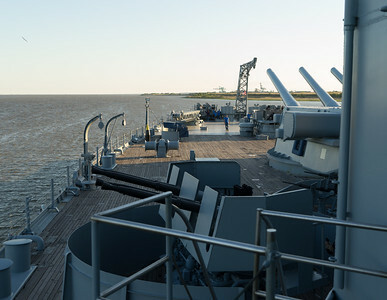 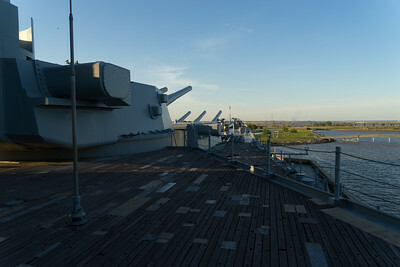 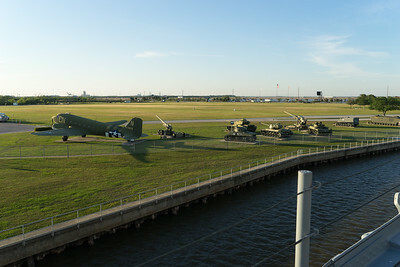 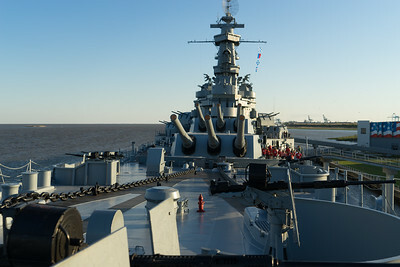 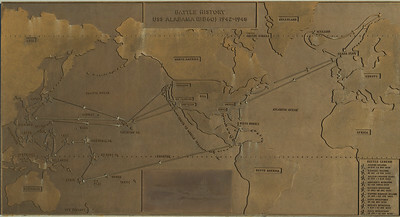 The horizon's even, but the USS Alabama's listing 3 degrees to port following hurricane Katrina. 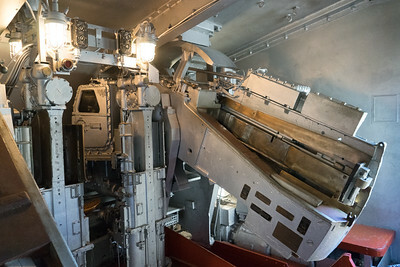 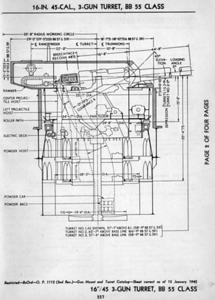 Inside a 5" gun mount. 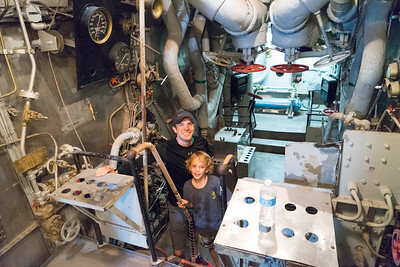 Bob Ross and son Bobby aboard the USS Alabama. 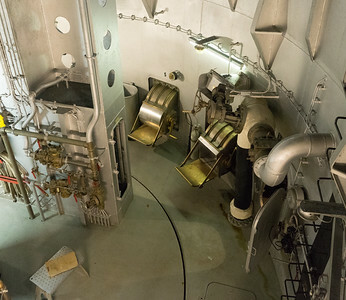 Powder chutes for transferring 90 lb silken bags of propellant from the magazine to the 16" gun turret. 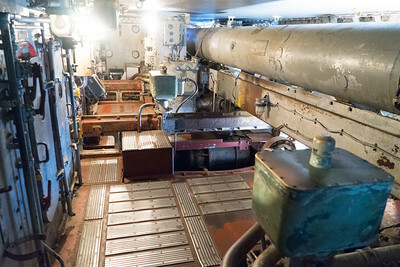 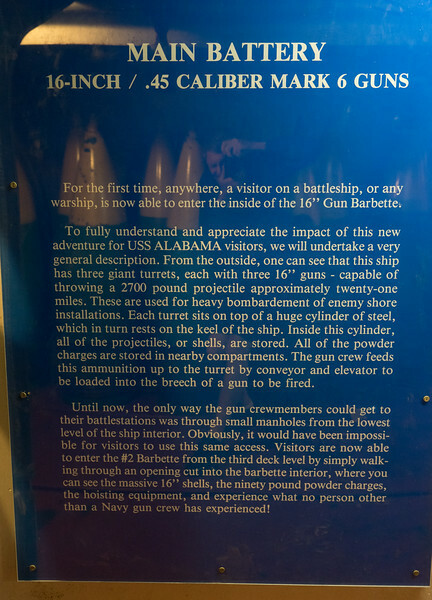 Inside the #2 16" gun turret. 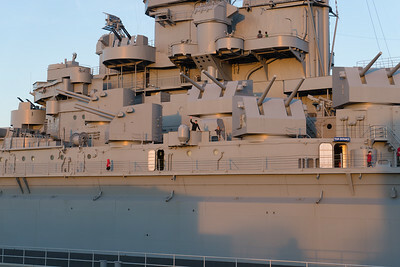 The cylindrical device on the top right is a coincidental range finder. 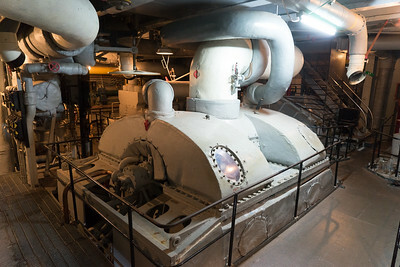 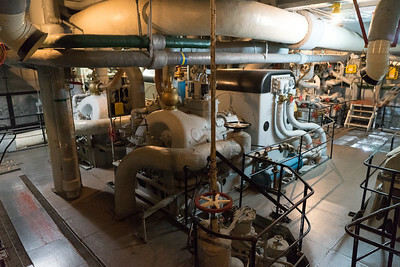 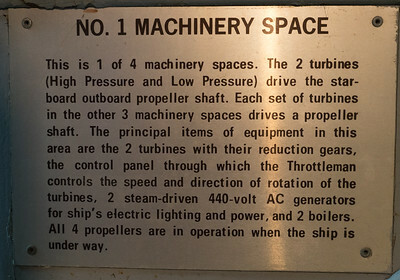 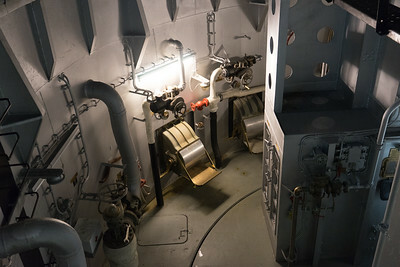 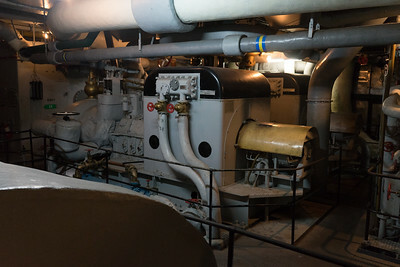 In machine room #1, which houses two boilers, high & low speed steam turbines, and reduction gears to drive one of the ship's four propellers. 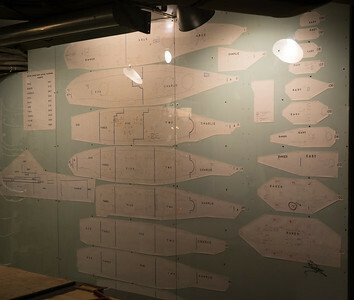 Graphics in the Damage Control center. 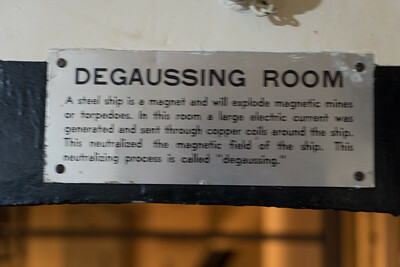 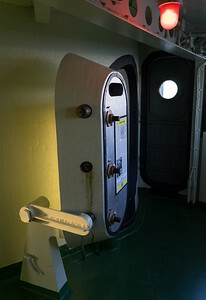 The armored door to the conning tower.